Brigitte Brandmair, Conservation scientist, stands behind the theoretical scientific side of the old Cremonese varnish. Peter Stefan Greiner, Luthier, brought guidance; applied knowledge in the application and use of varnish to the project. 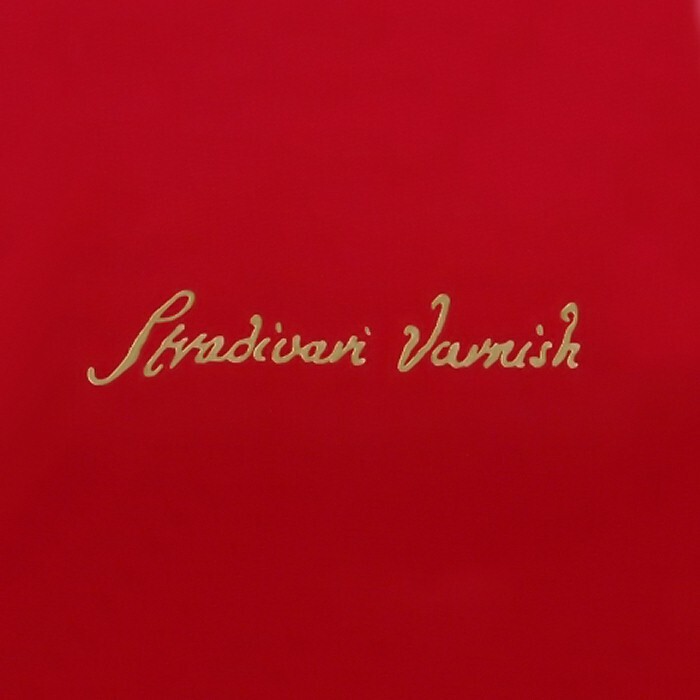 The authors form a unique collaboration between scientist and luthier, for the benefit of the field and provide previously unknown findings about the Stradivari varnish. This outstanding project was realised by Brigitte Brandmair and Peter-Stefan Greiner. It was greatly supported by violin dealers and experts, directors and curators of various instrument collections, private instrument owners as well as participating scientific institutions. The primary goal of the project is to research and understand the surface qualities of varnish seen under Day- and UV-light. The investigation was based on a careful and thorough analysis of the previous published scientific literature and cultural historic aspects. Scientific standards regarding UV-light photography where set and applied, leading to reproducible scientific environments. Only under such conditions can a layer profile of the varnish be extracted in a comparable non invasive manner, thus leading to important conclusions of the actual work techniques. This non invasive approach also includes the use of microscopic analysis, which leads to even further insights regarding pigments and substances that have been applied. The book is arranged in three sections. The research results of Brandmair and Greiner are presented in this book in the articles “The Build-up of Layers in Stradivari’s Varnish” by Stefan-Peter Greiner (41 pages) and “Foundations of Classical Cremonese Violin Varnishes” by Brigitte Brandmair (91 pages). The third section presents a pictures circle of 219 pages. Displayed are twenty-one outstanding instruments expertly photographed by the photographer Jan Röhrmann. They are presented in chronological order to provide a representative cross-section of Antonio Stradivari's work, whereas the first instrument is a Nicolò Amati and the last one a Giuseppe Guarneri del Gesù. The instruments are documented in daylight and UV radiation from life size till magnifications up to 1000x. Each instrument is preceded by a short introductory description written by experts as Eric Blot (Cremona), Dr Rudolf Hopfner (Vienna), John Dilworth, David Rattray (London) and Dott. Gabriele Rossi-Rognoni (Florence). Many of these instruments have not been documented in the past decades and under no circumstances in this quality. All texts are written in English and German. The book in sum is a unique documentation of scientific varnish research. It will provide, especially due to its vividness, diligence and clear structured presentation, great inspiration and will become an essential accompanist of your daily work. Project photographer Jan Röhrmann shot all the life size Day- and UV-light pictures, as well as the detail shots up to 5 x magnification. He is using a high – resolution digital back with 45 Mio pixels on a 3.7 by 4.9 cm chip. The raw image was then fed into a special conversion software to account for a real life colour reproduction. Finally a “proof” was generated for each image to guarantee the true colours in the printed book. The book contains day- and UV-light life size pictures of 21 of the best preserved Stradivaris of all periods from famous European collections. Many of these instruments have not been documented in the past decades and under no circumstances by these means.